Wednesdays have officially become one of my favorite days of the week. Why? American University’s Farmers Market! Every Wednesday students and staff head to the quad, ready to stock up on fresh fruits and veggies, cheese, homemade bread and more! 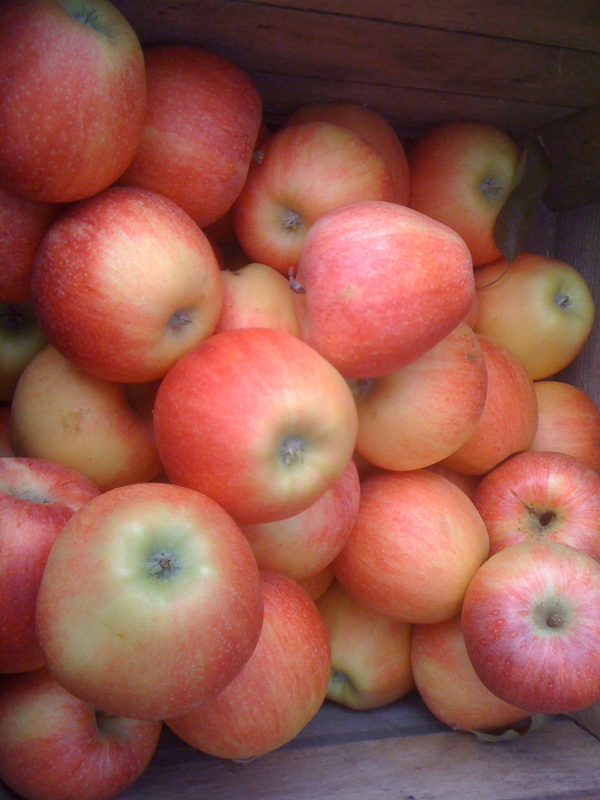 The fruits and veggies are courtesy of Agora Farms who gets their produce from Amish farmers in Lancaster, Pa. I left with a bag of apples, zucchini and red bell peppers! 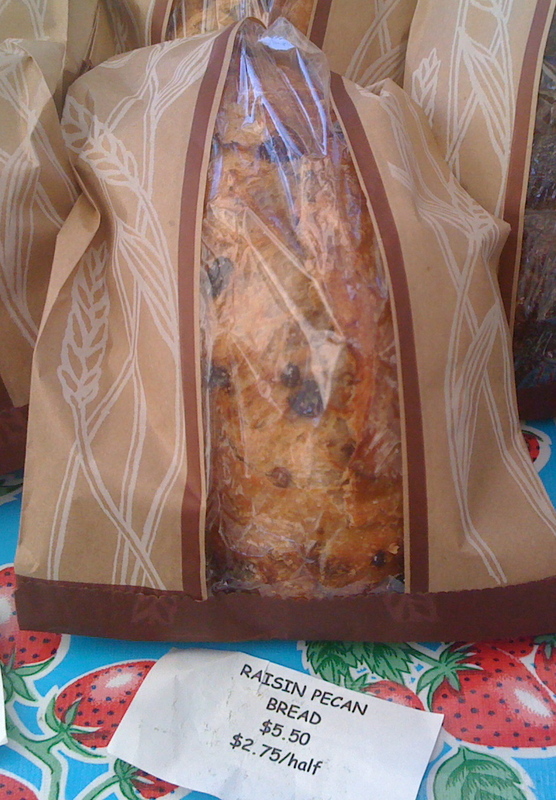 Mmm home-made bread from Upper Crust Bakery. I’ve heard good things. This may have to be a purchase for next Wednesday..
Today I considered myself an esteemed Locavore. 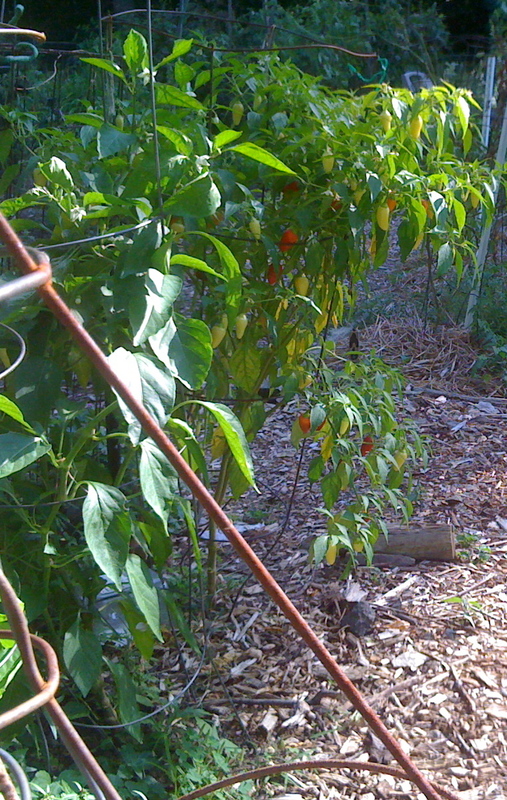 Ensures freshly picked produce, which = great taste! How can you eat locally? It’s easy! 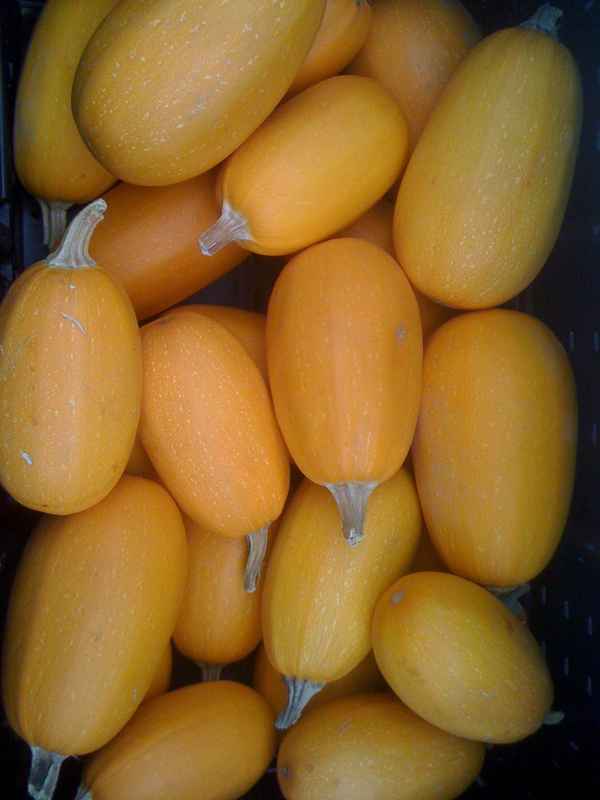 Farmers markets are popping up everywhere, so check out the ones in your area. No markets near you? No biggie. Grocery stores are now putting local foods on display. 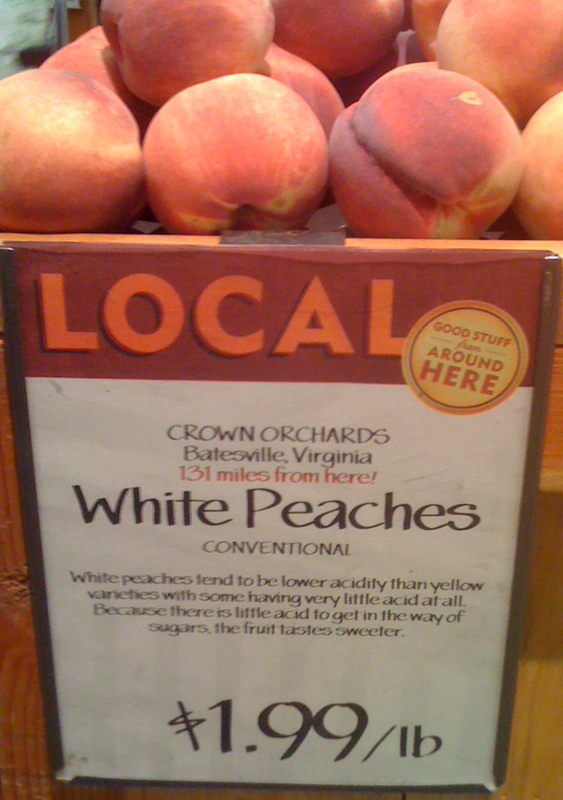 I was happy to see signs like this in Whole Foods (my love) helping people choose local items. Walking home after my food-shopping spree I smelled basil in the air, followed the scent and found a gardening community! A great option for local eating. The wait list to get a spot is 1-2 years..there must be more Locavores in DC than I thought! Now that we’ve covered how to get your local food, let’s get to the good part. Cooking it! I went with a simple Quinoa dish, with a side of sautéed veggies. Quinoa is one of my favorite foods so for those who don’t know what it is, I will gladly share. I picked out a recipe from Epicurious, one of my go-to food websites. My farmer’s market zucchini wasn’t part of the recipe so I cooked it up on the side with some spinach. 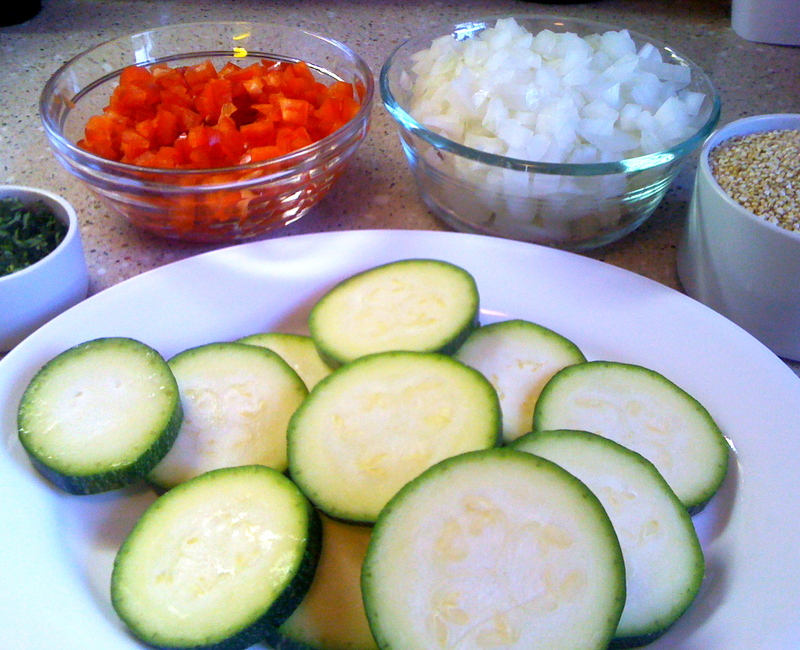 Preparing this dish was so easy. Perfect for chefs of any level. I was excited to try this dish, but wasn’t prepared for the greatness! 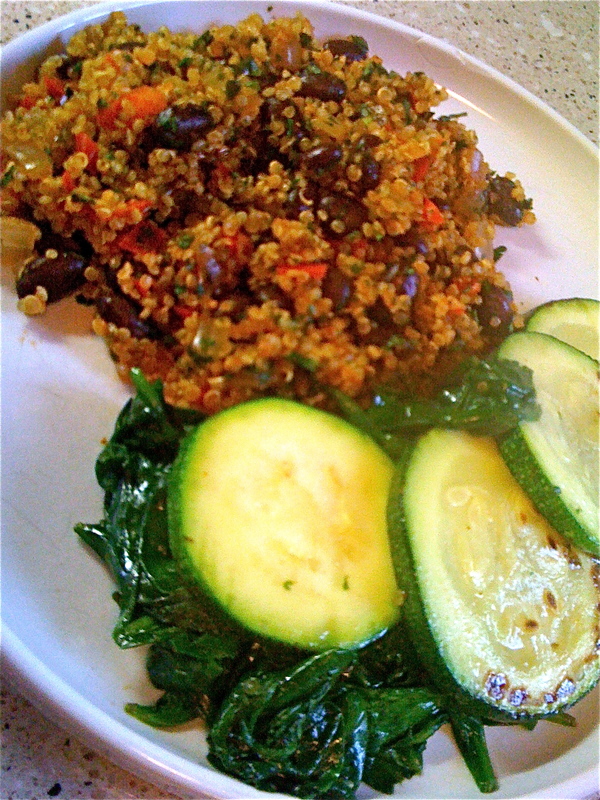 It was a perfect mix of veggies and spice, and brought out the flavor of the Quinoa. 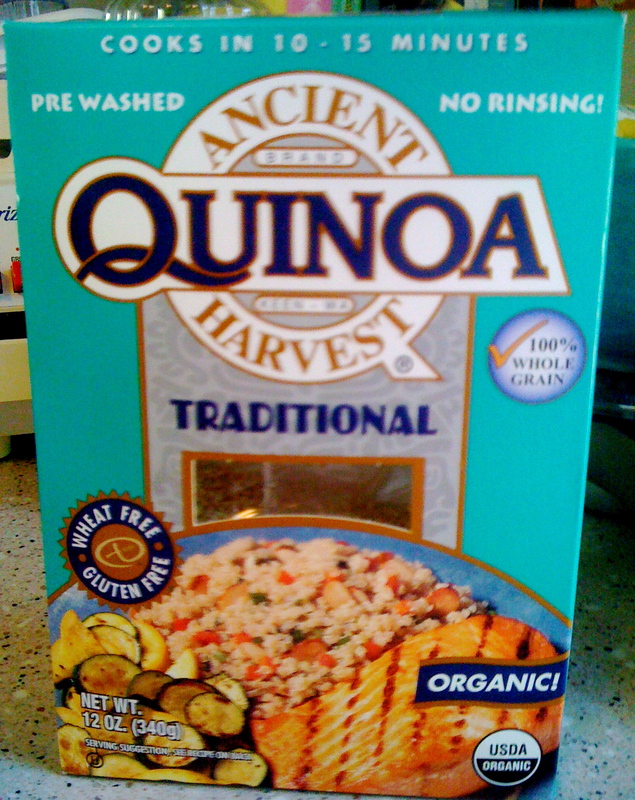 I thought my reaction was biased since I am a Quinoa lover, but that changed when I heard “woah!” from the kitchen. It was my roomie’s boyfriend after he sampled a bite. Success! Fabulous info on eating locally. Nice to see Wash D.C. is doing it right. A farmers market at American? Lucky you! I can’t wait to try your quinoa recipe tonight. Thanks for the nutrient info. Amazing! And easy!! Keep ’em coming.